In spite of the insurance sector’s attractions, technicals contributed to it underperforming in 2018. 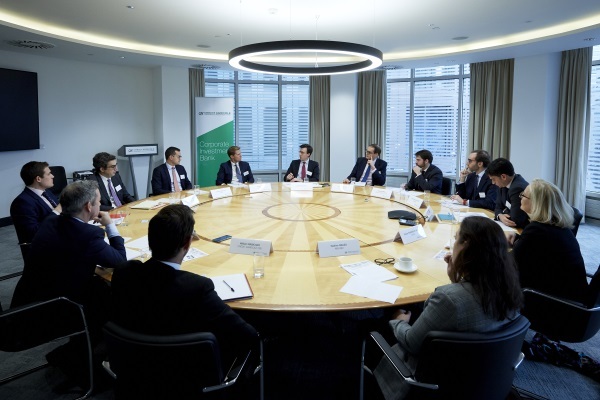 Crédit Agricole CIB and Bank+Insurance Hybrid Capital gathered issuers and investors together to find out how regulatory and rating agency changes will affect supply and behaviour in 2019, and where they see opportunities for issuance and investment in hybrids. If you would like to download and read the roundtable as a 16 page pdf, please download it here. Neil Day, Bank+Insurance Hybrid Capital (BIHC): What are the key reasons why the insurance sector underperformed in 2018? 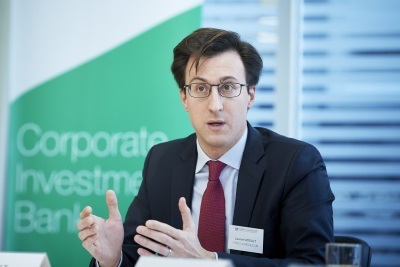 Laurent Adoult, Crédit Agricole CIB (CACIB): By way of background, we’ve seen around EUR17bn euro-equivalent of supply from European insurance companies in 2018, which is a slight decrease versus 2017. The first part of the year saw most of the supply, with more than 50% coming from January to April. This was driven by supportive market conditions — spreads were at their tightest and naturally issuers took advantage of this — and also some M&A activity — we all remember the supply from Axa following their acquisition of XL. Turning to your question, the insurance sector has indeed underperformed in 2018. The iBoxx bank Tier 2 index gave an absolute return of minus 2.2% year-to-date whereas the insurance subordinated index gave minus 5.8% — I think that puts things into perspective. The exact same trend is apparent on the senior side if you compare bank senior preferred versus insurance senior, with the latter also underperforming with a negative return. There are a few factors that can explain this, most of them structural. In general, supply in the insurance sector is only a tiny fraction of the bank one. And you generally have fewer dedicated investors in the sector. Also, if you look at Tier 2, it’s essentially a higher beta product than bank Tier 2: you are talking about 30 non-call 10s for most insurers, whereas for banks it is 10 year bullets, 12 non-call sevens or 10 non-call fives, so you’ve got a higher duration on the insurance side. On the top of this, you have an interest deferral in an insurance structure while you don’t have anything on the bank side. Lastly, the insurance sector is in general more complex than the bank one. Matteo Bertolo, Pimco: I agree: the facts and the numbers are pretty clear. The technicals in the insurance sector are hard — they don’t match the fundamentals. The fundamentals are those of a sector that is rich in liquidity, is very stable, and where there’s a lot of stability on capital, on profitability. The technicals are very different and the bonds tend to trade as much higher beta. So in 2017 it was one of the best performing sectors; in 2018 it is one of the worst performing sectors. So, hard to trade, hard to deal with the technicals. What is the reason? You mentioned a few. The market is much less deep and in a way that lower supply works against you, with investors being less used to seeing a deal and hence spending less time on it, and that filters through to the technicals and the liquidity of the bonds. 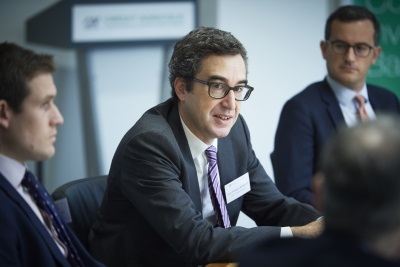 André Bonnal, CACIB (pictured below): Indeed in 2017 insurance was the best performing asset class and by far, so it makes sense that in difficult times, it would give up a little bit more ground. What you said is quite interesting, about most investors not being as familiar with insurance as they are with the banking sector. To me that also means that in hard times every move in secondary is exacerbated, with these not-so-familiar investors potentially exiting their positions on insurance bonds maybe more quickly than with their bank bond positions as the insurance sector as a whole is not performing well. Bertolo, Pimco: This provides opportunities, by the way. Obviously once you are invested, the bonds can be volatile, but if you have done your research into a sector and like the fundamentals, then the greater volatility is better for an active manager. You can pick high quality issuers at potentially better valuations because of that volatility — if you can stomach it. Filippo Maria Alloatti, Hermes: The sector is undoubtedly higher beta than others. In fact the insurance sector is essentially an IG sector, but is probably the widest IG sector in the iBoxx. What you said, Laurent, about there being less liquidity is correct — insurance can be seen as the smaller brother of the banks. But at the same time, it’s not necessarily more complicated. You need to analyse the key ratios, get the jargon, etc, but once you’ve done this you potentially have more visibility than for the banks. I like to compare it to the pharmaceutical sector. And let’s not forget the insurance sector — as Matteo said — is a long term business. I think also in volatile markets which focus a lot on the short term, on the delta between Q1 and Q2, insurance is the one sector that suffered. William Rabicano, CACIB: It’s by far the least liquid part of the capital structure, and for that reason it does trade as very high beta. I’d go one step further than Laurent and say it’s probably now higher beta than most of the AT1. Sub insurance can move multiple times of AT1s without anything actually trading. The investor base is so much smaller than AT1s. You have the Asian support for AT1s, you have family offices, and you have dedicated AT1 funds, which unfortunately aren’t as present in the insurance sector. The fundamentals within the insurance sector are liked. In the past two years people have been very happy to run excess longs in insurance, and that’s probably one of the problems we’ve seen this year, too — people have been heavily overweight sub insurance, both in general and on a name by name basis, so as we’ve seen a significant repricing of the sector, it’s not that they don’t want to add, it’s that there is actually no ability to add because they are already running as long as they possibly can. Day, BIHC: What are expectations for 2019, in terms of volume and what’s going to be driving supply? Adoult, CACIB: Supply from European insurance companies is in general anything between EUR15bn and EUR20bn euro-equivalent every year. In 2019 we will have limited redemptions from the sector. Insurance companies are also in general operating with fairly high capital ratios and a lot of them are at the upper end of their target range, meaning that there is not necessarily pressure for them to issue. So I would say we will probably be at the lower end of this EUR15bn-EUR20bn. However, there is some potential for upside in case of M&A activity. We’ve seen in 2018 that a portion of supply has been driven by M&A. 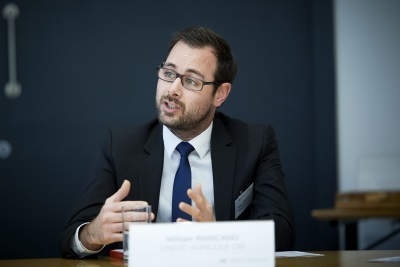 Pierre Le Bihan, BlackRock: Regarding redemptions in 2019: 2009 was not a big issuance year for obvious reasons and therefore it is quite apparent that the refinancing schedule for the coming year isn’t particularly heavy. A couple of swing factors could be M&A, as discussed, and potential liability management exercises. Michael Roper, PGIM: M&A is the big unknown when it comes to supply, but there are some other factors to consider. An issuer’s ability and need to issue can be a function of several parameters including: Solvency 2 headline ratio and tiering headroom, IFRS financial leverage, rating agencies’ metrics. An additional consideration may be to boost liquidity at HoldCo, which is not really at the forefront of anyone’s minds as insurers are often seen as being long liquidity, and whilst disclosure around available cash at HoldCo is improving, we could see the occasional issue from an issuer who might be experiencing issues remitting cash to HoldCo and/or those who appear to be generating a lot of new capital which they are under pressure to deploy and where there is a disconnect between capital generation and cash emergence, I mean where capital generation contains a strong VNB from capital-light life products, for instance. Then in the medium term you have IFRS 17 in the background and what that means for financial leverage metrics. Aegon, for instance, has come out and said it’s not sure what it means and as a result it won’t be issuing so much until it gets further clarity. You also have S&P changing its financial leverage calculations where, for example, some UK annuity players might not be able to recognise as much capital upfront. Whether it’s on the accounting side or the rating agency side, there’s always something changing, so there’s just general uncertainty. It’s tricky for the issuers because they are trying to marry regulatory solvency accounting, rating agency methodologies, etc, and as an investor it’s a nightmare. 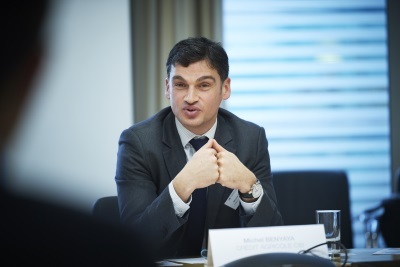 Michael Benyaya, CACIB: To me any impact from this key driver of M&A will be very digital, because should it occur it will probably require companies to launch jumbo deals to raise a large amount of debt to finance the transactions. If it’s more bolt-on acquisitions, insurance companies probably already have the capacity to finance that with internal resources. So any difference in volumes is going to be on the back of super-large transactions. And even if you look at the most recent larger transactions, the debt needed to complete them is not actually that high, because financial leverage remains the key metric for insurance companies, so they will always keep an eye on that, which will always determine the amount of debt that they will issue to finance such transactions. Day, BIHC: European insurance companies are in general well capitalised, with solvency ratios close to or even above the target range they set themselves. So far, capital deployment has mainly been concentrated on share buy-backs but M&A has picked up recently. What is your view on this? 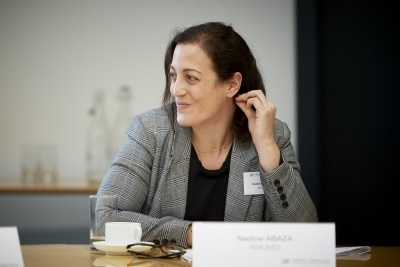 Nadine Abaza, Amundi: Two years down the road since the implementation of Solvency 2, both equity and bond-holders have gained some comfort around the level of capital, its quality, and there is better disclosure available. As a result, we have seen an increase in capital deployment measures, with higher pay-out ratios and ongoing share buy-backs, which is also a way to try to maintain relatively stable ROEs in spite of some pressure on earnings. Whilst I believe that shareholders are happy with higher dividends, I think they now want to see an industrial story develop. This is why we see much more about M&A — discussions, at least, if not activity. So far, we have seen several types of deal: the large transformational and the in-market types of deals, private equity players are coming to play in Europe as well, and I think we are going to see more of this in general. From a bondholder perspective, M&A creates opportunities to try to position either for a tactical or a strategic trade. It’s indeed the opportunity to revisit the credit quality of an issuer, the positioning on the capital structure, and how the deals would affect spread levels. There is potentially a premium to be had given that there is still some uncertainty overhang when an M&A deal occurs, with execution risk and the like attached. Roper, PGIM: Regarding supply expectations, I’d be interested in hearing what the value of a senior bond is for an insurer, given that insurers have a lot of liquidity and you don’t get the capital credit for senior issuance, and that there’s more focus on leverage. 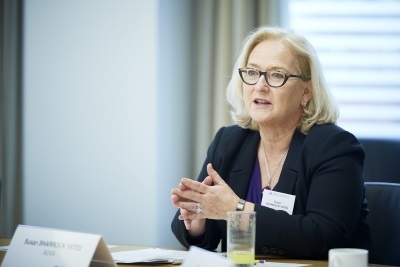 Susan Sharrock Yates, Aviva: We did a senior deal this year and I must admit that when I first joined the insurance industry I swore I’d never use our constrained leverage to issue senior — how ludicrous that would be! You only get liquidity, rather than capital and liquidity. But since we’ve had Solvency 2 and you get quite a sizeable amount of diversification, which isn’t liquid, there can potentially be a disconnect in having a capital excess that isn’t necessarily attached to group centre — or HoldCo — liquidity. I like your distinction between HoldCo liquidity and group liquidity, because we are very clear on our HoldCo liquidity — of course there is significant liquidity down in the OpCos, but we don’t necessarily want to take that. The specific reason we issued senior this year was largely the B-word: the uncertainty of Brexit. We have potentially EUR750m-EUR800m of commercial paper to refinance and a small senior deal that matures in December, and we can do it all for cash, but do we really want to go into the next six months, year, or however long, without having the extra flexibility of additional liquidity? Rates are cheap at the moment — if anything, we see them going to the upside — so our senior bond was a defensive measure, really. And given that, as we have said publicly, we have surplus capital, more capital than liquidity, we may switch some hybrid to senior — not too much, because we are conscious of leverage. It’s not the “never do it” that it used to be in my mind, although I wouldn’t expect to have much more than we’ve got. Daniel Bell, Swiss Re: It’s similar on our side. We have excess capital, and we are in a good position liquidity-wise, too. We don’t have a natural need for senior. We have used senior debt in the ReAssure business, which is our UK closed life business, to fund acquisitions there. Before that, the last senior bond we issued was around five years ago in the Swiss franc market because there was an opportunity to secure fairly cheap liquidity. Usually what drives that need for senior is where capital is not required but funding is, and so it’s more cost-effective to issue senior debt. Day, BIHC: The European Commission recently released its draft delegated act amending Solvency 2 for consultation. How might this affect the eligibility criteria for Solvency 2 capital instruments? Benyaya, CACIB: The draft amends some of the criteria for regulatory capital alongside other changes — capital requirement on the investment side, for example. The consultation is now closed, so we should hear some news on that in the coming weeks. Market participants should not be at all surprised by what is in the Commission paper because it is fully in line with the recommendations from Eiopa a year ago. It brings some clarifications for the RT1 product in terms of the principal loss absorption mechanism (PLAM). It’s interesting to see that they still do not publicly discuss the write-up mechanism, so it’s still unclear what is allowed or not allowed — it’s still up to the national supervisor to give their view on this. But at the Eiopa level for now there is no formal definition in terms of the write-up. Elsewhere, they are also introducing some alignment between banking and insurance regulation, notably in relation to some tax and regulatory events, which will be more in line with what we see on the banking side and will be actually a bit more positive for insurance companies. The key message here is that, yes, there are some changes and some clarifications, but it will not endanger the eligibility of currently-outstanding RT1 product. I’m thinking in particular of the RT1 that CNP Assurances issued earlier in the year, where the issuer did not have full clarity but the terms and conditions were drafted with a lot of open definitions so that there is sufficient flexibility to absorb upcoming regulatory changes. So on the issuer side I don’t see any challenges arising from the changes, and no specific grandfathering framework is necessary because the RT1 that have been issued recently, at least from continental Europe, will remain fully eligible. Jean-Philippe Médecin, CNP Assurances: There was indeed this uncertainty, notably about the write-up/write-down, and we would be interested in having more clarity about this in the new framework and it not being something that may have to be decided at a local level. It makes it more difficult to choose between the three possibilities: stock conversion, permanent write-down, or write-down and possible write-up. As Michael said, it was, however, written in our term sheet in a way that allows us to take account of any change in the regulation. Benyaya, CACIB: The UK PRA is much more transparent, in a way, because they tend to publish a number of supervisory statements and consultation papers that give some insight into how they look at things. But elsewhere in Europe there is sometimes a lack of transparency on certain issues, and one of them is the write-up mechanism, because if you look at the situation in France, there is no public communication from the ACPR on that topic. Médecin, CNP Assurances: And on top of that, there is also no public communication about the tax treatment. With what we have seen recently in the Netherlands, maybe that is another question here, so there are these two uncertainties. Day, BIHC: What are the implications of the UK tax treatment of RT1 with a principal write-down feature? Alloatti, Hermes: It’s in line with what Michael just said on the transparency from the PRA. There was this change in the budget this year whereby essentially there is the possibility of a deduction of the maximum tax charge on the principal write-down generated. From a philosophical point of view it’s a little bit strange, because if you have a UK insurer with, say, £300m of sterling-denominated RT1 outstanding, and there is this tax on the principal upon the write-down, then the hypothetical UK insurance company would have to pay this tax upfront, and instead of raising £300m by this write-down mechanism, it would be the write-down mechanism minus this tax. There are some similarities in Germany where we don’t yet have clarity on the tax position upon the write-down. In the UK there are only three sterling-denominated RT1.One is from Direct Line, which is equity conversion, so it has not been affected. The other two are from Phoenix, the closed life consolidator, and Rothesay Life, which is a bulk annuities player. Phoenix, in theory, could exchange theirs into an equity conversion instrument — but of course they would have to get approval from their shareholders. Rothesay Life is not listed — they have a shareholders agreement between the three main parties that own it — so it’s a little bit more complicated, because you cannot really have equity conversion, or at least it would be relatively complicated. We don’t know how this consultation will end, although in January we should hear from the PRA. In terms of mathematical impact, it’s not that great — it’s not zero, but we are talking about five to max six and a half points of solvency ratio. On the other hand, based on what they have said in the past, RT1 is to the PRA one of the purest forms of capital, and I don’t think it does really makes sense to discontinue the RT1 and then raise Tier 2 or Tier 3, which is also by definition quite limited in the insurance capital structure. Benyaya, CACIB: At the European level, Eiopa and the European Commission took a very different position to the PRA, because the draft delegated act recommends continuing to allow full capital eligibility in spite of the potential negative tax effect. And in addition to that, it seems that it will even be possible to grant a waiver to an insurance company to implement the loss absorption mechanism when the write-down itself has a negative impact on the capital position. Apparently they are a bit more lenient or pragmatic, depending on how you look at it. At least they acknowledge the issue with the tax effect, and they remain principles-based rather than being overly prescriptive on such a decision. Day, BIHC: How do you see the role of RT1 in the capital structure? Médecin, CNP Assurances: RT1 is the best hybrid debt, in terms of capital, that you can have. It’s quite a new product, so there are very few benchmarks in each currency, and we issued the first benchmark in euros. We will look at RT1 when renewing our outstanding Tier 1 bonds. We will discuss whether or not to call them when the time comes. This year we decided to because from an economic point of view it was interesting to make the call and issue a new bond, and we were expecting rates to rise. There is the grandfathering period for quite some time, to 2025, but I think it is interesting to start on renewing the stock of Tier 1 — although not at any price. A few months ago the levels were interesting; it’s maybe not the same story right now. Depending on market conditions, we may also reduce the amount of Tier 1 by replacing legacy Tier 1 with Tier 2, so it will not be a straightforward renewal of old Tier 1 with RT1. It’s a question of balance. Adoult, CACIB: From an issuer point of view, it makes sense to preserve the ability to issue Tier 2, because at the end of the day Tier 2 is probably the easiest product for an insurance company to use when it wants to raise capital. If in difficult market conditions you want to issue a large subordinated transaction you can only use Tier 2 as you won’t be able to issue RT1. That’s why, as you say, issuers will probably want to issue RT1 when market conditions are supportive, and never completely fill up the 50% bucket for Tier 2 (and actually be close to the 35% limit). Sharrock Yates, Aviva: That’s exactly our thinking. It would only be post-stress capacity constraints that would be the driver to issue RT1. We’ve got RT1 coming off anyway, but we’ve been very clear about our desire to delever. But even when we are looking to refinance, I’d be surprised if at the moment there was a need to do RT1 because we’ve got enough Tier 2 capacity. As you say, if there is a challenge, if there’s a particular reason, such as M&A, why you need more capital, you want to have some quicker market access. So we may consider opportunistic RT1 issuance like you — well done for getting it in a nice market — but absent that and absent a capacity constraint, I can’t see that we would need to. Médecin, CNP Assurances: It’s exactly the same for us. We want to maintain complete flexibility by keeping room in the Tier 2 bucket — and also Tier 3 — so when we can fill the RT1 bucket, we will do it. Adoult, CACIB: Look at what Axa did when they had to refinance the XL acquisition: Boom! They issued EUR2bn of Tier 2. I’m not sure they could have raised the same amount in RT1. Day, BIHC: So there seem to be more modest expectations regarding supply. Going back a bit to the discussion at the beginning, focusing on RT1, is that a concern for investors? Alloatti, Hermes: It’s relatively illiquid because apart from CNP they are typically sub-benchmarks. And it is a product which, as we’ve just heard, is mostly issued on an opportunistic basis, as opposed to Tier 2 which is very popular with investors. All the large banks have started issuing AT1, but in the insurance sector, for a combination of reasons — such as the tax treatment of the potential write-down in Germany, the lack of visible M&A — we have only had a very heterodox panoply of RT1 issuers, from a specialised UK life player to CNP, which is to some extent essentially a savings products business, and then Dutch insurer Vivat. Over time the large issuers will eventually come to the market. With apologies to the issuers present at the table, insurance is not a very high return on equity proposition from a shareholder perspective — which is a characteristic shared with banks, unless we are talking about emerging market banks — and issuing RT1 is a good way to improve shareholder distributions. At current levels, I think RT1 are quite interesting, especially for an investor who has done the work on a specific issuer and feels comfortable going the extra mile from the Tier 2 into the RT1. Sharrock Yates, Aviva: Can I ask whether you have a preference between convertibles and write-downs? Alloatti, Hermes: In general on the RT1 we would prefer equity conversion, but we could also have a discussion around the write-down features. Bertolo, Pimco: RT1 is quite interesting. The instrument itself is basically a copy-paste of the AT1 — the structure is pretty much the same. But when you put it into an insurance framework it changes completely. From my perspective, the risk dynamics are completely different: on the one side you have banks, whose balance sheets are a lot more volatile; on the other side you have insurance companies whose balance sheets and P&L are a lot more stable. Your distance to trigger is different with insurers and overall you have a different set of risks — even if the instrument looks exactly the same as the banking side. And also in terms of technicals, it’s very different. Most large banks essentially have to fill up their AT1 bucket, but here we just heard the issuers saying that they will issue when they can or if they want to keep capacity for other instruments — there’s a lot of optionality for them in terms of volume and timing. That also changes the dynamic, in this case to the advantage of the issuer. So from my perspective as an investor today, I would look for RT1 that comes at a price that doesn’t reflect all of that optionality — I’d want to see a situation where perhaps the issuer is under-researched or not too well known so the market is not that comfortable with the name and the issuer has to pay up a bit for the RT1. Alloatti, Hermes: That’s very true. Although I would note that we haven’t really seen the AT1 being properly tested. There was Popular, but it went, let’s say, straight into equity conversion at one euro although it was a write-down instrument. So there is I think also a difference between the theory and the practice for AT1. On RT1 you need to look at the SFCR. One of the higher sensitivities is not so much the underwriting risk, but the volatility in equity or in bond markets via interest rates. As investment managers we are then buying something whose sensitivity is actually skewed towards either market movements or interest rates, so in a sense we are doubling up on those risks, and that needs to be taken into account. Bell, Swiss Re: This is not entirely relevant to Switzerland, but can I just ask the investors, what do you consider the purpose of the loss absorption mechanism in an insurance RT1 to be? Because it doesn’t change the SCR, it doesn’t cure an SCR breach or anything like that, so from that perspective it’s very different to AT1 and banks who are trying to meet a Common Equity Tier 1 ratio. Is it more about managing rating agencies or quality of capital or something else? Bertolo, Pimco: To me it looks like it’s a copy-paste, and then once it’s into the framework, it doesn’t play the same role at all as with banks. As I said, it mainly provides issuers with optionality to free up solvency capacity. But yes, in terms of being triggered and recapitalising a bank, like a pre-underwritten rights issue, which is kind of what it is for banks in theory — it’s clearly not the case for the insurers. 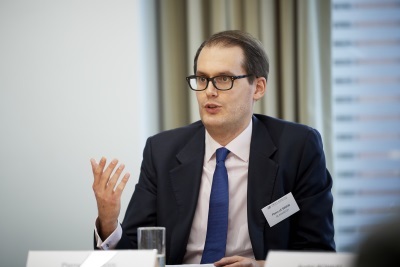 Roper, PGIM: I initially thought there was some value in an RT1 for a mutual or a cooperative insurer who perhaps couldn’t raise Tier 1 funds another way, but then in the UK equity conversion became the preferred mechanism, which means it’s not even that relevant for a mutual. Away from just being a cheap form of equity for an issuer, it’s a horrible product. As you said, it just feels like insurance supervisors have looked at the bank capital structure and tried to mimic it, whereas there simply isn’t that much need for this RT1 layer. Michael put a reasonable piece out around triggers. Take Aegon for example, where you’ve got a very large US business: you can have MCR breaches when your SCR looks great, so how on earth are you meant to get comfortable with those risks when it’s already an incredibly complex capital framework? It just feels like there’s quite limited information for an investor to fully understand what might trigger that. Benyaya, CACIB: I fully agree with what you and Matteo said. The meaning of the trigger in the insurance space is very different from the one you have on the banking side. If an AT1 breaches the trigger, the bank will be in resolution — I don’t think anybody would question that. On the insurance side, there could be situations where you breach the SCR trigger but the insurance company is still on its feet and will have time to recapitalise — by doing, say, a reinsurance deal with another company to cure the trigger. So even if the RT1 trigger is breached, the instrument will still be on the market, with some uncertainty around the write-up — if write-up is possible — and with the company still operating basically as a going concern — this is perhaps a factor for investors. Roper, PGIM: You could make the argument that in some ways it’s junior to equity. The PRA tax treatment is based on the fact they’re happy to have the tax on the write-down because — in their words — it’s unlikely there will be a material collapse in confidence in the institution, whereas I think the reason why the banks get their tax treatment is because without triggering you would have a collapse. I don’t know what happens to the share price of an institution when you get to an SCR of, say, 75%, but there might still be equity value, whereas as an RT1-holder I wouldn’t know how I’m being written up. Le Bihan, BlackRock: Going back to Dan’s question, there may be some value in upgrading the quality of capital in a stress scenario. The best example of that was back in the 2008-2009 crisis when, given the shortcomings of Solvency 1 and IFRS valuations, investors started to look at the tangible net asset value of insurance companies, and that excludes sub debt. There is probably greater focus on core capital in a crisis environment than there is in a stable environment. Abaza, Amundi: It seems to me that the investor base for bank and insurance bonds overlaps to some extent. The similarity between RT1 and AT1 should in theory help, but it comes back to the discussion we had at the beginning, about the longer duration and the high beta feature of the insurance sector, and also the fact there are only a few dedicated insurance sector analysts. Even though RT1s are generally investment grade and AT1s sub-IG, you still have very hard technicals in the insurance sector, so you really have to have a high level of comfort around the issuer but also a material premium to hold the security through that volatility and with the longer duration typical of the sector. Rabicano, CACIB: As we have discussed, there are only two outstanding euro RT1s, which have also come at a pretty illiquid time in the market. There are three in sterling, where insurance has always been heavily illiquid — let alone when you’ve had Brexit play out this year. It’s fair to say the sterling bonds may trade by appointment only — they’re not really liquid on the run bonds and I would have thought there are only a handful of banks that actually trade them. With such illiquidity in the RT1s, you can’t talk about them even as a beta instrument in the same breath as, say, a bank AT1. Day, BIHC: The RT1 instrument does not exist under the Swiss Solvency Test (SST), but Swiss Re has issued various contingent capital structures. Can you elaborate on your capital management strategy and the role of those instruments in Swiss Re’s balance sheet? What is the rationale for issuing out of different entities in the group? Bell, Swiss Re: My earlier question about the role of RT1 was a bit of a loaded one, because we don’t have the same framework as Solvency 2 and we don’t have this concept of RT1 — we have the old-style Solvency 1 set-up, where instruments are either core capital or Tier 2, perpetual or dated. That leaves us open to look at instruments that actually provide us with capital that we think we can use. The SST framework, like Solvency 2, is an economic capital framework and we’ve been operating under it for a number of years now, so we look at instruments in terms of the economic capital benefit they provide us with. One consideration is this concept of post-stress capacity, particularly under the S&P framework, and also the ability to upgrade our capital, as Pierre mentioned earlier, particularly in a stress. We have two targets when it comes to capital management: one is to maintain a Group SST ratio of at least 220%, and the other is be at least AA at S&P. The instruments that we have issued are mostly targeted at the S&P framework. We think optionality in a stress is better than having an instrument that mandatorily converts when it may already be too late. So the instruments that we first issued were convertible at our option at any time — at a small discount to market price. Although that might mean credit investors receive shares they do not necessarily want, they are liquid and so should be able to be offloaded. The instrument we issued recently was actually placed in the equity-linked market because we think that’s a better market to manage that equity price movement and equity risk. But the fixed income market is a bigger market and probably understands capital ratios better than the equity-linked market. We’re yet to really see which is better because we’re the only ones that have issued in both. Before I discuss why we issue out of different entities, I’d be interested to hear how the investors see our instruments: do you view them as similar to RT1? If you were to buy our instrument, would you bucket it as an RT1, or do you see it as a quite different prospect? Abaza, Amundi: I personally tend to think of your instruments as a different set of securities. First of all, I note that RT1s are included in the CoCo indices, whilst, unless I’m wrong, the Swiss Re contingent capital securities are not. In addition, even though you’ve issued several contingent capital securities, they are very specific to Swiss Re’s exposure to tail-events as a reinsurer. 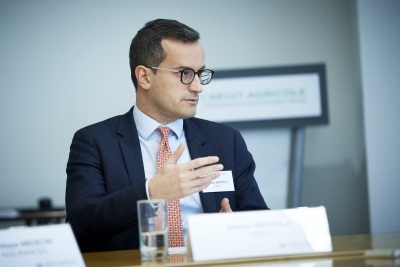 I think it’s fair to treat them a bit differently, as Swiss Re’s funding strategy is different than what we see with other European issuers: you tend to fund each of the businesses independently from each other, while what we see in general is funding from the group holding — so that’s a differentiator which I consider. Bertolo, Pimco: I would definitely see them as different, but if the question refers to pricing, I would use an RT1 as a kind of benchmark for continental European insurers and then look at the features and where they are different. That’s probably a good place to start for valuing one of your instruments, which tend to be more specific to Swiss Re. Bell, Swiss Re: In terms of why we issue out of different entities, we have had a holding company structure since 2012 and the three business units are quite distinct. We have the reinsurance unit, which is 80% or so of the total group balance sheet, the direct property and casualty unit, and the direct life unit — direct life is only a small part of the overall business. The holding company is an allocator of capital and within this framework is better able to see where the best opportunities to allocate capital lie: is that through reinsurance, is it through direct property and casualty, or is it through direct life? For accountability reasons we imposed on each unit the obligation to develop its own business and make it as attractive as possible for the parent to allocate capital, and part of that is managing your funding as well. The business units are not completely free to fund themselves, because there is group supervision. We oversee and help the business units with their funding programmes. There is no guarantee in place, so there is some standalone risk. Day, BIHC: How do issuers manage the Tier 2 and Tier 3 buckets? Why is Tier 3 supply so limited? Sharrock Yates, Aviva: We’ve done one Tier 3 issue. We had a Canadian acquisition and wanted to do a Canadian transaction for currency match-funding, and initially looked to do a Tier 2 issue. But when we tried to sell the idea of a Tier 2 to the Canadian investors, they really didn’t like it — they weren’t familiar with it. This was 2016 when Tier 3 had recently become available so we updated our programme and included Tier 3 terms and conditions, and approached the PRA about issuing one. However, the PRA were not very happy with the idea, with no one having done one before. But this was because the rules had only just made Tier 3 possible, and we said that if we didn’t issue Tier 3, we’d have to issue senior, and we’d rather issue capital. The PRA eventually got comfortable with us issuing in Tier 3 format, but only for incremental capital — they were very clear that they didn’t want us ever to issue Tier 3 to replace Tier 2. So the PRA doesn’t appear to be very keen on Tier 3, because they think the quality of capital isn’t sufficient. Médecin, CNP Assurances: We were the second ones to issue a Tier 3, right after Aviva, and the first in benchmark format in euros. We were quite happy with the issue because it was the cheapest level of capital we have ever seen. We don’t issue any senior debt, as we have no extra need for liquidity, and investors were happy to see this short bullet. It was something of a test to see the market’s response to this kind of product, and we now know that if one day we need quick capital for short maturities that’s one of the easiest solutions. Sharrock Yates, Aviva: And the regulator was fine with that, were they? Médecin, CNP Assurances: There were no questions at all from the regulator or agencies. It’s the easiest product that we can issue in terms of capital. Of course, we want to keep some room in Tier 3 — again, that’s why we didn’t come back on the market. But, as with RT1, we would like to see more issuers, to have more reference points and, as we said at the beginning, better liquidity and pricing — having more bonds on the market would be better for everyone. Adoult, CACIB: The difficulty with Tier 3 is that it’s not S&P-compliant, so those issuers who tend to focus on the S&P metrics may not have the flexibility to issue such debt — that’s one of the constraints. There’s also the fact that the Tier 3 bucket is fairly limited, and can be taken by DTAs, etc. So essentially the room for issuers to issue the product is limited. Médecin, CNP Assurances: Exactly, but we were quite comfortable vis-à-vis S&P capital, so that’s why we didn’t need their recognition for this bond. Roper, PGIM: Would issuers perhaps want to maintain some headroom in their Tier 3 buckets in case there is an M&A opportunity and the target has DTAs? Given that consolidation is a natural progression in this industry, is that something that would be part of your thinking or not? 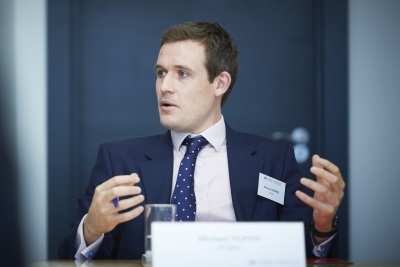 Sharrock Yates, Aviva: On our side, we’ve got very little in DTAs anyway and, as I said, given the PRA stance we haven’t actually got the ability to issue much more Tier 3, so we have plenty lots of Tier 3 capacity and don’t have to actively think about this. Médecin, CNP Assurances: We have no DTAs, either, so our Tier 3 bucket, less the already-discussed Tier 3 bond, is free. Day, BIHC: What are your views on the proposed changes to the S&P insurance and hybrid criteria? Roper, PGIM: In terms of the insurance criteria, I like the change in financial leverage to a straight debt to debt plus equity measure. Having a very transparent metric to calculate will be seen as positive from investors. The focus on qualitative judgements from analysts, whilst not changing but deemphasizing the capital model, probably takes away some of that additional transparency. You can’t replicate the S&P capital model — I know they show you how they calculate it, but to do that for every issuer is just not feasible. Net-net, it doesn’t seem as if it’s going to impact ratings that much. The leverage piece is potentially positive, but I think it will remain a very tricky model for anybody outside S&P to fully understand. Benyaya, CACIB: This is one aspect of the S&P changes, and there is another on the hybrid capital methodology. First of all, in terms of equity content, they have slightly changed the rule for some legacy debt and some issuers could actually lose the equity credit on some outstanding long-dated instruments. And what is perhaps more interesting is that S&P is seeking feedback from market participants on the definition of triggers under insurance regulation, in particular what does it mean for an insurance company to breach a 100% SCR trigger? Can it be viewed as a going concern trigger or not? I think there will be a lot of discussion around that. Depending on the answer, it could first of all affect the ratings — because if you say it is a going concern trigger you could potentially lose some notches — and also it might affect the structure of the instrument itself — I don’t think it will, but if you say that the SCR trigger is a going concern trigger, S&P should no longer need the minimum 20 year remaining maturity, because effectively under Solvency 2, if an issuer breaches the 100% SCR, it would not be able redeem the bond. So it will be interesting to see how S&P manages these different angles and reconciles what we see under Solvency 2 and what we see on the market, and on the other hand what they want to do with this definition of the SCR trigger. Médecin, CNP Assurances: Our main concern is to keep our bonds with an investment grade rating, so we will look at the new methodology to see how the rating of the bonds evolves. This question was very important when we issued the RT1: it was very important to have it investment grade, with regards to the indicators taken into account by investors. 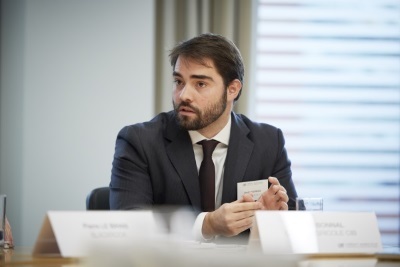 Benyaya, CACIB: Indeed, because if you look at the request for comment, when you look at the impact of this new criteria on the hybrid side, it seems that Europe will be significantly impacted, so it could also be a driver for investors going forward. Bertolo, Pimco: I found that part on hybrids quite puzzling. We discussed earlier the technicals versus fundamentals, and we said how the technicals are not that great. But when I go back to my generalists and pitch an insurance idea, everybody knows about the volatile technicals, but you can always point to the stable fundamentals and say: “Look guys, the regulatory environment is very stable, the ratings are very stable, S&P is the de facto regulator, and so on.” Lots of nice things. Now, imagine if I have to go back and say: “You know what? It’s not that stable.” That would be bad — for issuers, in particular, because the technicals are what they are, and then suddenly you are missing the underlying stability you thought you can bet on. Versus banks, that has always been the big difference and a big plus for insurance. Take Solvency 2: a big regulatory change, but it took 20 years to come about and then you have 16 years of phase-in period. That is super-stable, super-visible. If you start tweaking that stability — through rating methodology changes, for example — it’s going to hit pricing. Roper, PGIM: S&P also talked about the volatility of capital ratios and our big concern is that you simply can’t compare the volatility of capital ratios from issuer to issuer because we haven’t got any uniformity in terms of stresses. Until we have disclosure across the industry so that we as outside stakeholders can fully understand uniformly whose ratio is more volatile, then a rating agency introducing or widening notching based on something that we don’t have is unhelpful — unless S&P is leading the charge for more consistent disclosure, in which case it could end up as a net positive. S&P’s proposals also seem to be quite punitive around bancassurers — such as Crédit Agricole Assurances — and it seemed a bit arbitrary around group support notching assumptions and what have you. Bell, Swiss Re: From a capital management point of view it has become a little more opaque. In moving away from the strict model — which, as has been pointed out, is difficult enough to analyse — and introducing more qualitative features and discretion, it is even more difficult. Having said that, we expect that it is not going to affect us so much because we are well capitalised, have sufficient liquidity, and so on. But for others it could be much more meaningful. Day, BIHC: How do you use the SFCR in your credit analysis process? Do you see room for improvements in terms of disclosures in the SFCR? Le Bihan, BlackRock: SFCRs are an important piece of disclosure for credit analysts. Clearly, regulatory capital is central to insurers’ capital strategy — although other frameworks, such as rating agencies’, are also important — and with a number of insurance companies discontinuing their embedded value reporting, Solvency 2 capital is often the only disclosed economic capital metric these days. In terms of how we use SFCRs, those reports provide a view of the balance sheet on a Solvency 2 basis, it is also where you find more granular details on the capital position, for example the impact of the long term guarantee package, transitional measures, capital tiering, etc. When analysing an insurance group, you might also want to look at the capital position of the main dividend-paying companies within that group, and again you will find an SFCR for each of those main subsidiaries. Can disclosure be improved? Yes, it can always be improved. Even in the Solvency 2 framework comparability can be challenging. That’s particularly true between geographies, but even within the same geography. For instance, we get limited disclosure on the main underlying assumptions around reserving or internal models. Also what could be useful — I think someone mentioned this before — is harmonising the disclosure on capital sensitivities to the most relevant market shocks or underwriting events. And lastly maybe better disclosure and more harmonisation on organic capital generation. It’s becoming an increasingly important topic for shareholders and credit investors alike and for the time being insurers do not report capital generation on a consistent basis. A harmonised approach would be greatly appreciated there. Roper, PGIM: Just to really reiterate: the Solvency 2 P&L would be very useful. I think David Rule (Executive Director, Insurance Supervision at the Bank of England) had in an annex to a recent speech a template of how it could work. From an investor’s perspective, it would be really helpful to be able to better understand what the pre-Solvency 2 business was, especially when you have transitionals running off, versus the new business, because we’re sometimes in a position where — not for any of the issuers around this table — we’re not entirely sure about the sustainability of the business model, especially when, ex-transitionals, issuers wouldn’t have any capital. We just don’t have that information. Day, BIHC: How is IFRS 17 going to affect your perception of the sector? What could be the implications in terms of financial communication and capital management? Le Bihan, BlackRock: IFRS 17 has the potential to improve comparability and the quality of information as well. Regarding comparability, I note that the current IFRS standard consolidates various practices under local GAAP, therefore comparability can be a challenge even within the same insurance group, so we could see some improvement there. As regards the quality of information, new disclosure requirements under IFRS 17 could also be helpful for analysts. Having said that, comparability, although improved, might not be as straightforward as maybe hoped, in particular because there are a few options available to reporters under IFRS 17, notably in terms of the model used — there is a general model, but then there are alternatives with the Variable Fee Approach and the Simplified Approach. Also in terms of transitionals, reporters can make different choices. Also remember that, at the end of the day, it is a principle-based framework and there are a number of areas where reporters will need to use their judgement, whether on contract aggregation, discounting or risk adjustments. Whether IFRS 17 will change our views, we’ll have to see. But as a starting point I would say that the economic balance sheets of insurance companies will not change overnight; they will still be the same companies on the day after implementation, we will just get to see those companies through different lenses. One reason perception might change on a given company is if this new disclosure does highlight a relative weakness — or indeed a strength — that was not so apparent before. Or otherwise because the timing of earnings recognition might change, potentially requiring a change in the timing of dividend payments — which is perhaps even more relevant for equity investors. However, IFRS is often not the main driver of dividend capacity — as regulatory capital tends to be the binding constraint — so maybe it won’t have such a big impact. The most important thing is to allow for proper field-testing — which I believe insurance companies have been through — and timely investor education. These changes are quite significant and insurance companies might have to adapt their financial targets under the new framework, and these will need to be communicated at the right time; proper investor education will be quite important. Day, BIHC: Michael, you mentioned IFRS 17 in your opening comment — did you want to expand on that at all? Roper, PGIM: I was merely coming at it from the financial leverage angle. If you are a UK annuity player and you are recognising profit upfront, that now has to be smoothed over the life of the product, and you end up with a lower equity base, so if you have significant amounts of financial debt your leverage ratio might — unless methodologies change — experience a big shift. Then Talanx have already come out with how they could look at a return on equity including the CSM in their equity base. So there seems to be plenty of scope for solutions, but I guess that until issuers have more of an idea of the exact impact, it will be slightly harder to fully understand what a long term capital structure of an insurance company should look like over the next three, five years. I would agree with a lot of Pierre’s comments: high level, it should be beneficial in terms of enabling a better understanding of profit drivers and the like. But it’s already a complex sector, and I wonder if it will just force some investors to give up. Le Bihan, BlackRock: As we said before, one of the challenges of the sector is that there is not a large number of dedicated analysts in the credit space who cover insurance companies, and therefore I also wonder how much time generalist investors will have to spend on the new standard. Day, BIHC: Would any of the issuers like to comment on these IFRS 17 issues? Sharrock Yates, Aviva: It’s very expensive. We are quite happy there has been a delay — there’s a lot more to do on it. We’ve all come through the massive cost of Solvency 2 and now there’s something else that is not dissimilar in terms of cost on the horizon. I’m not totally convinced about the improvement in comparability, definitely not on a global basis, given that so many jurisdictions aren’t going to be involved in it. And also there is still quite a lot of judgement involved in how you translate it into your balance sheet. So I’m not totally convinced about the value of it. Médecin, CNP Assurances: I also agree. Because it’s principles-based, there will be a lot of different choices between companies about the key parameters. Implementing it is a tough job. And in the first tests we have done, we see more volatility around the IFRS result. So we will need to do a lot of work to explain the IFRS result, because you have IFRS 17, but you have also IFRS 9. 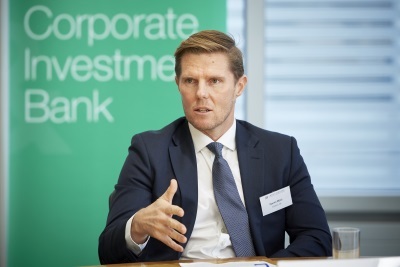 Sharrock Yates, Aviva: And as far leverage is concerned, the actual amount of debt we are having to service and support won’t have changed, but a metric which will be looked at will change quite noticeably. That’s unhelpful, because somebody who hasn’t got time to invest in really understanding the changes will be like: “Oh my god! Leverage is high!” But in point of fact, nothing has changed. Bell, Swiss Re: On the comparability point, the group and our main businesses report under US GAAP. IFRS 17 is relevant in some jurisdictions. The businesses in Canada and Australia are reporting under IFRS, but when it consolidates up, it consolidates up into US GAAP. Day, BIHC: How is the development of IAIS going to affect the capital management strategies of insurance companies? Benyaya, CACIB: The development of the global regulation for global systemically important insurers and internationally active insurance groups is moving super-slowly. There are still some consultations running and the final framework that will be applicable is not set — in my view there are still some moving parts. The Insurance Capital Standard has been postponed, with a five year monitoring period, which means that it will probably not become applicable before 2025, and the same is true for the global systemically important insurers, the higher loss absorbency (HLA) requirement, which has been pushed back to 2022. This year the Financial Stability Board have not even published the list of global systemically important insurers. So it looks like there is a lack of traction for developing this framework. It’s fair to say that in Asia there are some countries that are very keen on implementing these standards. That’s particularly true of Japan, where they see the framework as a truly economic capital-based approach and they are really keen on implementing that in the coming years. But it is difficult for me to imagine it becoming a constraint in Europe — Solvency 2, probably together with the rating agencies, will continue to be the key driver going forward. Bertolo, Pimco: I’m a bit sceptical of the concept of a systemic insurer. It seems, again, to be a copy-paste from the banking world that doesn’t quite fit with the fundamentals. I mean, if you invest in a large diversified insurer, you actually do get the diversification effect, right? A bank can never really be that diversified — you think you are investing in a diversified company, then when trouble hits it turns out it’s not that diversified. Insurance is diversified, which reduces the systemic risk. The concept seems a bit artificial and the way I read the delays is that people are actually recognising that it doesn’t make that much sense. Bonnal, CACIB: Is it also adding another layer of complexity, potentially making it even more complicated for investors who are already not that well versed in the sector, and putting them off further? 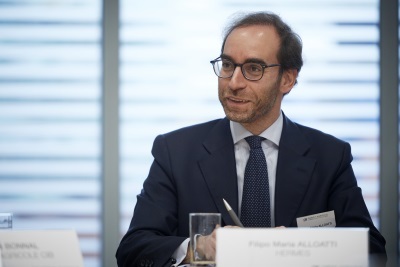 Alloatti, Hermes: We are a very conservative panel because we say the new regulations are not helping comparability, S&P shouldn’t change their hybrid methodology, etc. Bell, Swiss Re: To that point, it runs the risk of overregulation. And to your point, Susan, about cost: because the Swiss instruments are a little bit different to the Solvency 2 instruments, if the IAIS follow a Solvency 2 model and our instruments aren’t quite the same, does that mean we have to go out and refinance them, or will be they grandfathered? What will happen? Bertolo, Pimco: Theoretically, if you have a global set of standards with a top-down approach, which is meant to simplify things, then the rules apply to everybody and you need to get rid of almost everything else. Otherwise you just have an overlayering of different standards and it ends up being really complicated, with like a Venn diagram of the different regulations, in a sector that people are already not that familiar with, as we discussed before. So if you are just layering things up, it doesn’t work. Even on the banking side, where you do have a global framework, you have gold-plating and everybody has their own take on it. And that’s in a very homogeneous sector. In insurance? Good luck! Day, BIHC: Is it possible for an insurance company to issue a green bond? What are the structuring challenges and potential ways forward? Adoult, CACIB: Two insurance companies have issued green bonds: QBE, which did a green senior bond and also a gender equality AT1, and Manulife, which did two transactions. Both of them took more of a funding approach that is another copy-paste of what the banks have done: each euro raised is allocated against one euro of a portfolio of green bonds or investments. But essentially you are not necessarily touching the real business of an insurance company. The role of an insurance company is to insure or reinsure, and again it’s slightly more complex to structure green bonds in the insurance sector versus other sectors, in particular the bank side. Generally insurance issuers do not finance their green assets, investments via the capital markets; essentially they use the policyholders’ premiums. A number of insurance companies have made commitments to increase their green investments, but it’s actually policyholders’ money and not their own. The second complexity is also that generally you are not talking about cash. Banks are raising money in the market because they have some liquidity needs, and as we discussed earlier it’s not the case for insurance companies — most of the time insurance companies come to the market to raise capital. In theory you could think about determining what your green capital requirements are, and then allocate some green capital funding against this, but it’s a big question whether issuers are really able to determine this. And at the end of the day there might also be some regulatory hurdles. Bell, Swiss Re: When it comes to the regulatory treatment, it’s a fungibility issue, because the regulator says your capital has to cover all your risks. Let’s say you raise funds that would settle claims on insurance or reinsurance that you’ve written for a windfarm, and you ring-fence those funds for the windfarm, what do you do with those funds if the next year they renew with your competitor and you don’t have that claim anymore? Alloatti, Hermes: Then you repay the senior green bonds. Bell, Swiss Re: But that’s the issue: because we have no need for senior, it would be subordinated, so we are locked in for at least five years. Let’s say you insure a coalmine that’s trying to be greener, so is somewhere between brown and green — what happens to your reputation in the green bond market if you use that instead? The green bond investors may say: “Hold on a minute, that went from a windfarm to a coalmine — it may be cleaning itself up but we don’t think that’s an appropriate use of proceeds.” On the asset side, most of our investment portfolio follows not a green but an ESG benchmark, and I’ve asked green bond investors if that would be sufficient if I needed to do a subordinated debt next week, if could I raise funds and invest them in some ESG assets, and the answer was: “That only goes part of the way — we need to see on the liability side what you are insuring as well.” And for me that’s where it becomes difficult. If we were just interested in liquidity, in senior funding, then maybe that’s a different story, but since we don’t have a need for that, it would be capital that we would need to raise, and we’d look at either the green market or the brown market. I just see too many reputational issues at the moment — unless someone can convince me otherwise. Sharrock Yates, Aviva: I absolutely agree. Alloatti, Hermes: I think Daniel has raised a valid point, especially if you were to issue a subordinated bond. It’s a little bit like with green senior HoldCo debt, because I’m not sure if all the green bond investors are aware of the bail-in regime. Maybe, on top of the complexity and the peculiarities of the insurance sector, we are adding yet another layer. Bertolo, Pimco: I agree that you face reputational issues if something changes in the underlying during the life of the transaction. Our ESG analysts spend a lot of time ensuring that green bonds are connected to the underlying business of the issuer. Bank+Insurance Hybrid Capital is produced by Newtype Media in association with Crédit Agricole CIB.